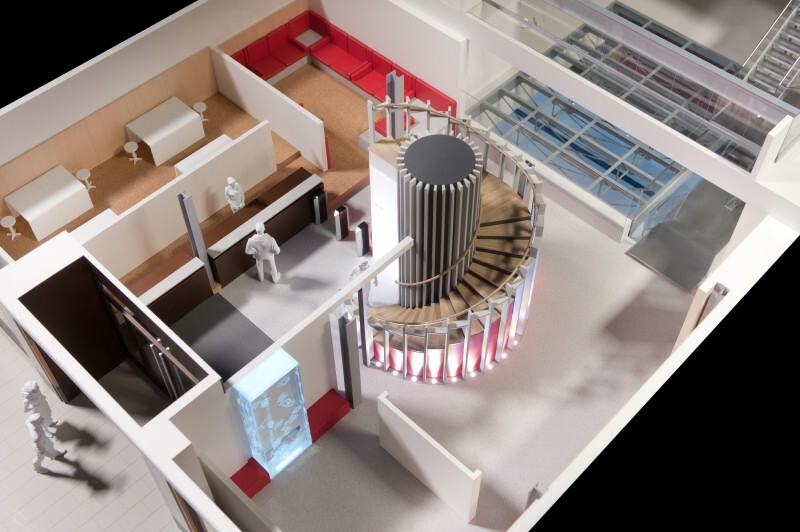 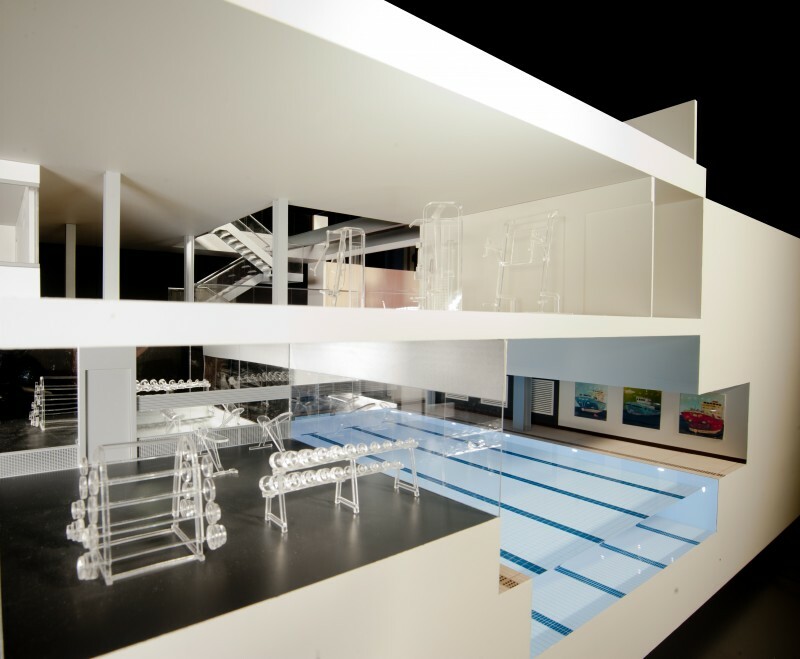 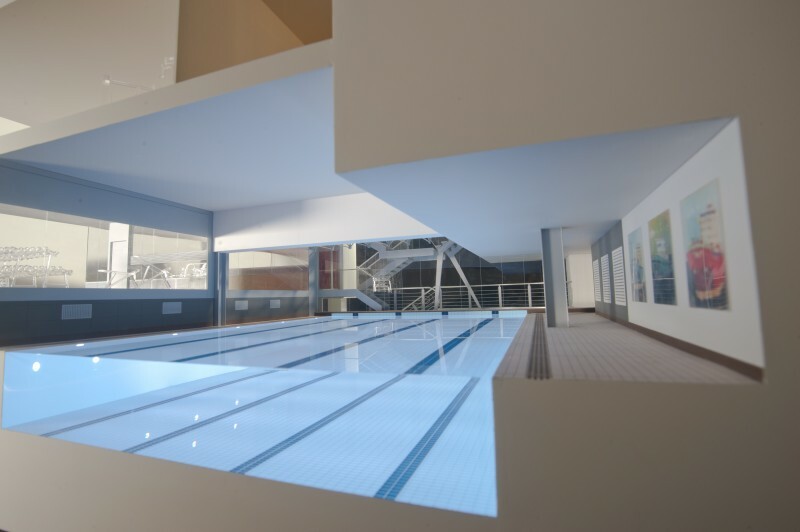 Display model to present refurbishments to members of the health and fitness club. 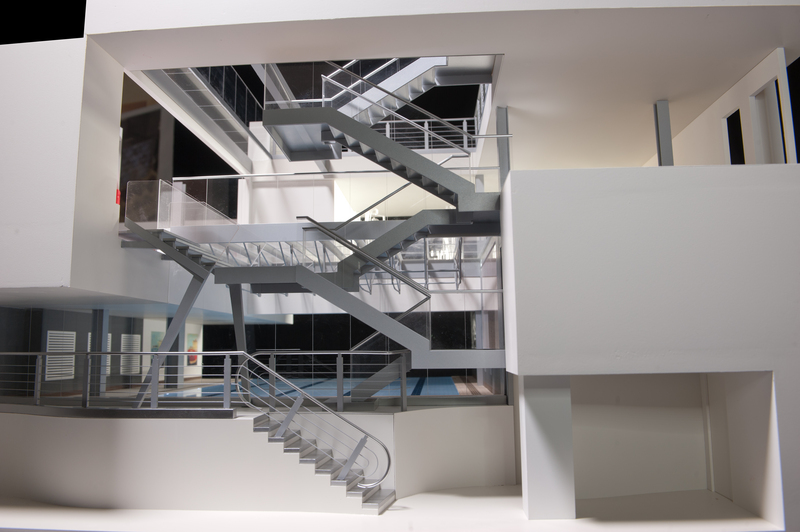 Large scale sectional model showing finishes. With lit features.